Amy Elaine Martinez joins me today for She Found Joy #3. Amy Elaine is an inspirational speaker, radio show host and Bible teacher. Her ministry is devoted to helping women with heart-shattered lives become whole again in Christ. 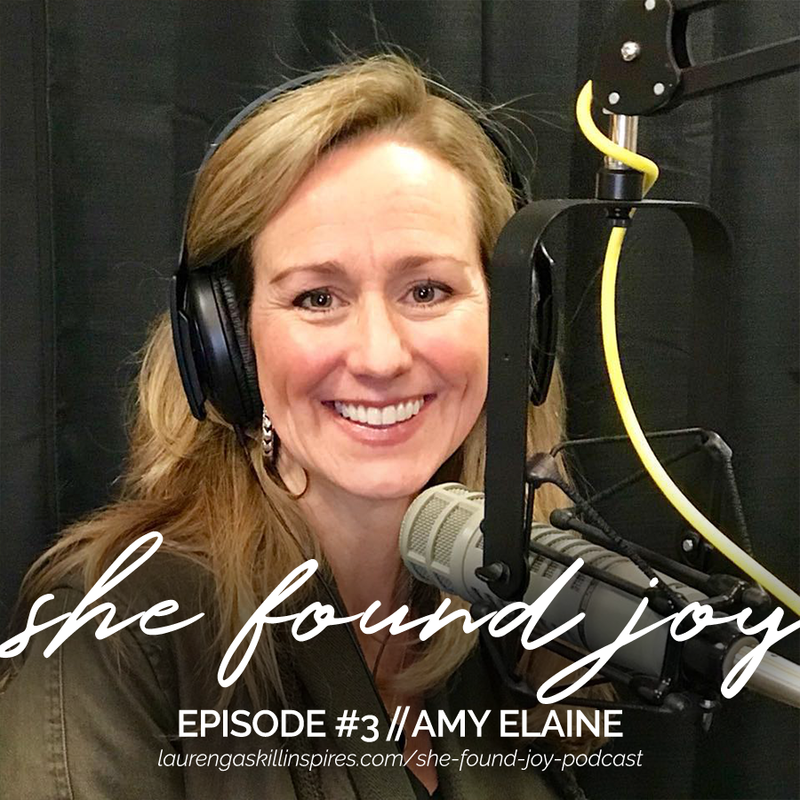 In this episode, Amy Elaine encourages us to feel empowered in our faith by living from the place of victory Jesus so graciously gave us through His work on the cross. I love the way Amy Elaine describes victorious living, “The victorious part of walking with Jesus is that we aren’t who we were yesterday.” Amen! Victory in Jesus is what we experience when we allow God to work and move in and transform our hearts and mind through the power of the Holy Spirit at work within us! In addition to talking about victorious living, we also talk about: how to help others live victoriously in Christ; the importance of prayer when we are in the middle of a battle; and how saying yes to God in the little things can lead to bigger things for His glory. A challenge from today’s podcast — Look in the mirror and repeat after me: I AM VICTORIOUS IN CHRIST! Yes, I, (name), am victorious because He lives. Today, I renounce the lies the enemy is throwing at me to try and make me feel defeated. Instead, I am clinging to the promise of victory I know Jesus died to give me. God, help me live from a place of victory and triumph over the enemy!